Finca in Son Negre. Quiet nature side of Felanitx with great panoramic views. A plot of approx. 25.000 m². Various building possibilities - up to 500m². Single family house in Cala Murada, Quiet Place situated, with Panoramic View. This PlotOfLand, Nature Side situated, near Cala d'Or, with Panoramic View, plot of approx. 21.0200 m². Completely closed with Mallorcan stone walls. Groundwater / for an own well, about 50m depth. Electricity is nearby. Plot of land, with Ocean View 1045 m² where you can build a house of approximately 375 m² + basement + pool + terraces and garden. Row house over 3 floors in Portocolom, Cental situated, renovated in 2018, 4 bedroom(s), 2 bathroom(s), a useable area of 165 m². Basement, Parking, terraces, community pool.. Single family house in the village of Portocolom situated, has 4 bedrooms, 4 bathrooms, a useable area of approx. 400 m², with a plot of 1.000 m². Garden, Pool, BBQ, big garage with extra kitchen and bathrom (could be easy changed into a separate living unit). 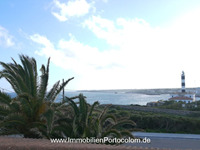 Finca in Portocolom close to the old town situated, with Panoramic View, 3 bedrooms, 3 bathrooms, a useable area of approx. 210 m², with a plot of 15.055 m². Garage or separate studio apartment. Old town house in Manacor, Cental situated, with City Skyline View,8 bedroom(s), 2 bathroom(s), a useable area of 560 m², with a plot of 500 m². This Single family house, First Ocean Line situated, with Ocean View, has 3 bedroom(s), 2 bathroom(s), a useable area of 135 m². Finca close to Felanitx, Portocolom, Quiet Place situated, with Panoramic View, 3 bedrooms, 2 bathrooms, a useable area of approx. 240 m², with a plot of approx. 18.600 m². Finca, Quiet Place situated, with Ocean View, has 4 bedroom(s), 3 bathroom(s), a useable area of 350 m², with a plot of 20000 m². Villa in second Ocean Line of Cala Murada, with Ocean View, 3 bedrooms, 2 bathrooms, a useable area of approx. 300 m², with a plot of 1650 m². Finca in Felanitx, in quiet nature situated, with great Panoramic View, 6 bedrooms, 4 bathrooms, a useable area of approx. 306 m², with a plot of approx. 28.500 m². Chalet with Lighthouse and Ocean View in Sa Punta, 4 bedrooms, 2 bathrooms, a useable area of approx. 211 m², with a plot of 1480 m².